I thought that since we had a Vintage Coach Bus list for Suffolk County, that we should have one for Nassau County. granted I only know of one company that had Coach buses. Great idea but I don't think the title really zeros in on what you mean. Curious as to what a 'P8M 5302' is? Should that have been an 'S' instead of a 'P'? They were P8M 4905's. I must have written down the wrong four digits when I was coping them down, and didn't notice the mistake. Thank you for noticing the mistake and saying something otherwise I dobt I would have ever noticed. I assume this list for Nassau County operators with Parlor Coaches only includes post-WW II. Bee Line had may prewar parlor coaches. Not necessarily, what is on the list is the only information of companies with Parlor coaches that I've either found or has been mentioned on this site by others.. If you have anything on Bee Line having Parlor Coaches either before or after World War II I would gladly add it to the list. Originally written by this writer for BusTalk in May of 2011. Bee Line, of Rockville Centre, New York, which was an early major player in the transit end of the business both in western Nassau County and the adjacent Queens part of New York City also operated their successful 'Long Island Tours' division with private charters, scheduled Manhattan express commuter services and runs to Saratoga Springs, New York during the summer racing season. Pictured is one of thirty-eight ACF Model 901-1-P64's (fleet #'s unknown) purchased by the company in increments between 1930 and 1931 carrying Bee Line's unmistakable 'Bumble Bee' brand logo on the front door. 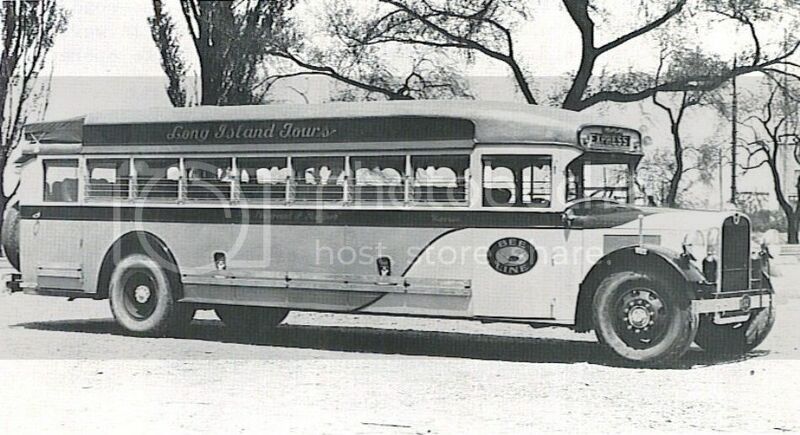 The 34 foot long 37 passenger P64's were top of the line weighing in at over 11,000 lbs. and featured power by a Hall Scott 707 cu. in. gasoline engine capable of a maximum speed of 80 mph which became ACF's largest power plant for the next two decades. 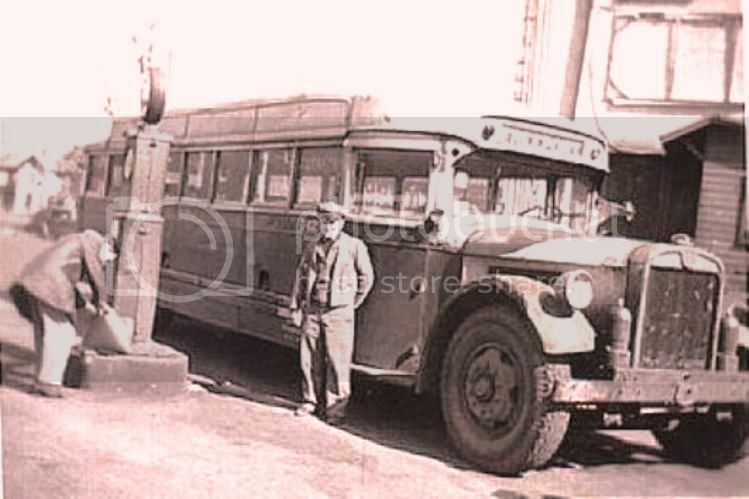 Bee Line's fortunes began a downward spiral when first they lost their 'Hub Master' ranking in Jamaica in the mid thirties to North Shore Bus Company due to labor problems and neglect of equipment and then to municipal takeover in the early seventies. The company will be remembered as a very colorful and important part of Long Island's transportation history. I found one of the 38 ACF P-64's in my files in service after a number of years and in rather battered condition which seemed to exemplify their reputation for poor maintenance back when. Of note is the fleet # 142 which should help in rostering. BTW; One Bee Line ACF Model P-64 carrying fleet # 135 is preserved by Jack Seidler of Hyde Park, New York (Mr. Seidler is rumored to have been part of Bee Line's original Carter family). Photo taken at an unknown location and date with the source being anonymous.